Playoffs in professional sports are for two purposes: deciding the better of two teams after a regular season with a biased schedule and to make a lot of extra money. Should the Atlanta Braves win the NL East after playing a schedule that favors its division, it only makes sense they have a playoff against the Pittsburgh Pirates who have the same story in the NL Central. So what do the playoffs have to do with fantasy sports? Nothing. They are useless and an insult to high-quality teams. Having an eight- or six-team tournament at the end of a fantasy baseball season is like allowing the Tigers, Royals, Indians, Twins and White Sox to compete to see who the real champion of the AL Central is. After 162 games, it’s the team with the best record. Further competition is not needed and an insult to the top team, especially if the bottom team decides to get hot at the right (wrong) time. 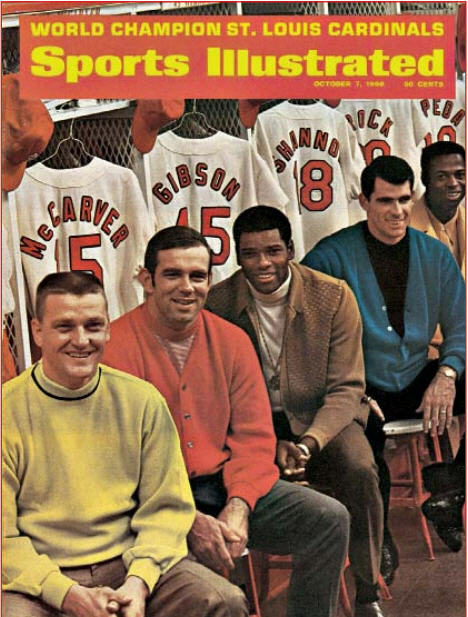 The last pure National League champions: 1968 St. Louis Cardinals. I am the commissioner of an eight-team NL-only fantasy baseball league. There are no playoffs and there haven’t been ever since Yahoo! gave the option to eliminate them. Playoffs do not determine fantasy league winners; they show what team was the best in the final month of the season. There’s no extra money to be earned and the team with the best record after a full baseball season deserves its championship. For those who believe this takes away the excitement of the final few weeks of the season, you’re wrong. Rarely is there a team that can run away with the best record after 25 weeks. The outcome almost always comes down to the final two weeks. If you’re in a fantasy league of any sport with playoffs at the end of the season, your league is likely not determining the real champion. Fantasy leagues should be the equivalent of the pre-1969 American and National Leagues: the team with the best record holds the pennant – no playoffs required.